Moisture measurement and control is a crucial aspect of the Biomass and Biogas industries as it allows for reduction in cost, energy, wasted materials, water usage, dust prevention and more. 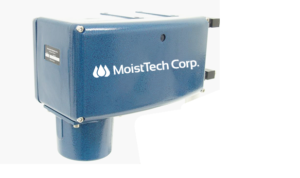 MoistTech Corp™ has been in the moisture control business for over 40 years providing long term solutions to the manufacturing process. The moisture control levels of raw material infeed to the boiler is a critical component of the combustion process and the monitoring of moisture levels as the materials are being conveyed, giving the opportunity for immediate line adjustments that aren’t normally available. Moisture measurement and control is more than producing a quality product, it is also reducing risks in extremely dusty or flammable environments as well. Ideal for chain and screw conveyors, the common the issues with moisture measurement and control occur with blending raw materials, during the combustion process and entering & exiting the dryer. The plant manager’s ability to control the line immediately with adjustments is a huge improvement over old method of time-consuming weighing and drying, wasting valuable time. Quality control is vital on the manufacturing line and the ability to alter certain specifications results in better quality products. A non-contact ‘online’ moisture sensor with hundreds of measurements per second, providing real time accurate measurements can provide a maintenance free alternative to moisture measurement and control. MoistTech uses a no-drift optical design to ensure the accuracy and repeatability needed, allowing for gaps, color and height changes in the product. The net result is improved quality and reduced production costs by savings in energy and loss reduction. Production efficiency improvements due to accurate real-time measurements provide both energy savings and potential increased productivity with lower material losses, the sensors use state-of-the-art components allowing installation in the most extreme locations. MoistTech is very experienced with the moisture sensing requirements in the combustion process using forest products residue as well as the correct operation of biomass boilers for the assessment of a load of fuel. Most wood fuel boilers are designed to operate with fuel of moisture content of a limited range; feeding fuel that is outside this tolerated range the boiler will either result in inefficiency, leading to increased emissions, or error the control system and fail to function at all.